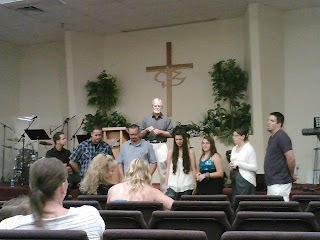 This morning in church, the team came forward and Pastor Chuck prayed over us along with the rest of the congregation. 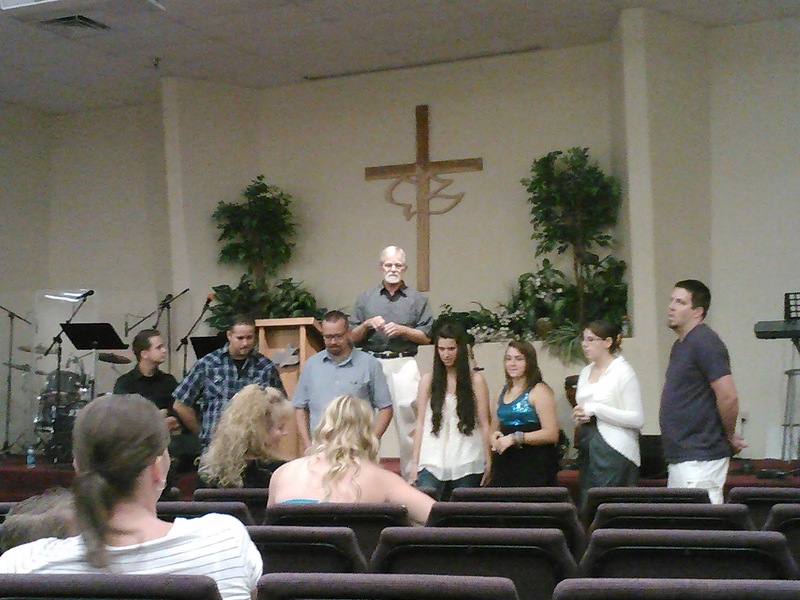 He shared some of our plans with the church and encouraged them to be praying for us during our trip. This is always a special moment for me in the years that I've gone, and I know it carries a lot of meaning for some of the others as well. I am reminded of how the apostles and church would lay hands on those called to serve in the New Testament. We are privileged to be going as an extension of our local congregation as, together, we go out into the world in fulfillment of His Great Commission! We may be the eight who are going to Bulgaria, but truly, our entire church is reaching out in obedience to serve our family in that nation. After church, the team gathered in a classroom for some final preparations. We all brought our suitcases so that we could split up all our supplies among them. 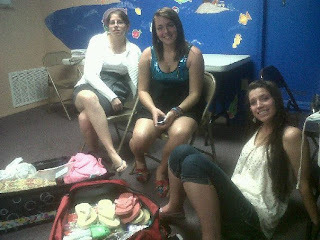 We had to pack crafting supplies, food, brochures and gospel tracts, and more. At the same time, we made photocopies of everyone's passport. Each one of us will carry a copy of someone else's passport with our own in case one gets lost or stolen. Now, we spend the next day and a half relaxing with our families. With summer camp and VBS wrapped up, I look forward to hanging out with my wife and kids for these last moments before leaving them for a few weeks. God bless you all and be praying for us! Well done Pastor Mike! It has been a crazy couple of weeks working up to this point... but God has been faithful! It's so exciting to see the Lord send us ... yet another year ... to our brothers and sisters in Bulgaria! I have been, and will continue to be, in constant prayer for you... praying also that you enjoy these last hours with your precious family as you leave, standing in Pastor Chuck's spot this year, as the lead pastor. We are blessed!